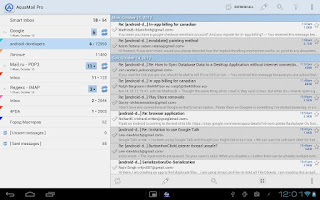 K-9 Mail is one of the best e-mail clients for Android. It is open-source and comes with a lot of interesting features. 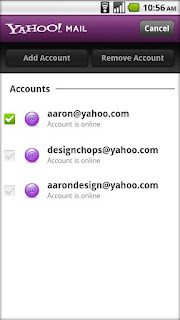 The free app supports IMAP push email, multi-folder sync, flagging, filing, signatures, bcc-self, PGP, mail on SD & more. Being a community-developed project, K-9 is always improving, thanks to suggestions from users. K-9 works flawlessly whether you are a Gmail user or an Outlook junkie. It can import your folders and flags easily making it one of the best apps to use. The best thing about this app, though, is that it is 100% free and doesn’t come with any trial versions or any ads whatsoever. 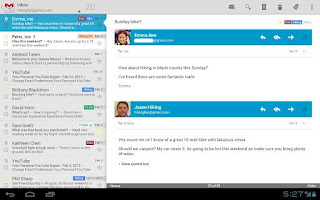 Aqua Mail is another great IMAP-enabled mail client for Android. With easy setup for popular services like Gmail, Yahoo Mail, and Hotmail, Aqua Mail makes it simple for new users to try it out. Apart from popular mail services, the free app also comes with support for Lotus Notes and MS Exchange. Furthermore, there is also support for Push Mail using Gmail or GMX. 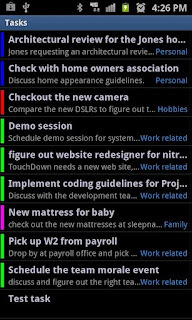 Other features in this app include support for saving messages to SD card, Tasker integration, and widgets. The app has been well received in the Play Store and has been rated 4.5 out of 5 stars. The free version is limited to two accounts, and no identities. Another catch is that, with the lite version, the app will add its own promotional signature at the end. If you’re not okay with that, you can purchase the Pro version instead. 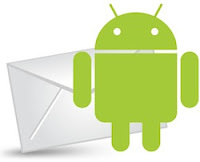 Gmail is probably the most used and the most popular mail client for Android. Being pre-installed on most Android devices, the app simply works out of the box. The best part about the app is that it brings almost all the important features of the web version of the service to your Android device. Once connected to your Google account, you can check mail, save attachments, set up label notifications and more. 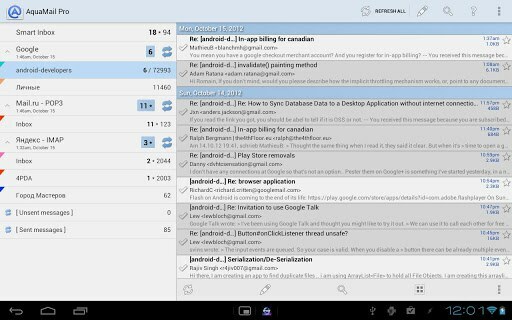 Overall, it is an indispensable app if you’re a Gmail user. 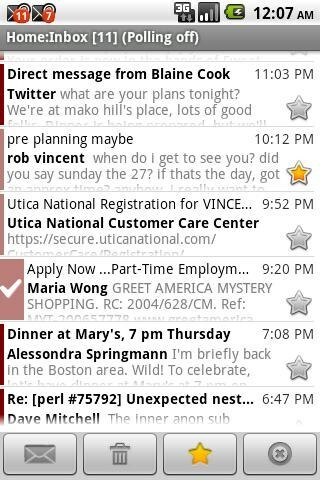 Though not a dedicated email client per se, Touchdown syncs all your emails, contacts, calendars and tasks with your Android device. Best suited for corporate mail junkies, Touchdown is quite popular among Exchange users and has been rated very highly in the marketplace. The app, apart from syncing all your corporate data, also brings essential security features like encryption, PIN support, and secure wipe. If you are a Yahoo! 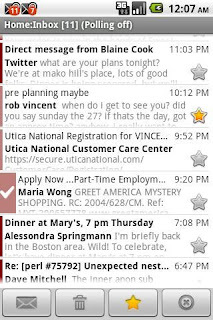 Mail user, then this app will come in really handy. 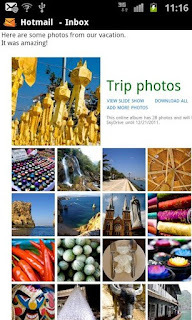 It brings most of the essential features of the web version of the service to your Android device. 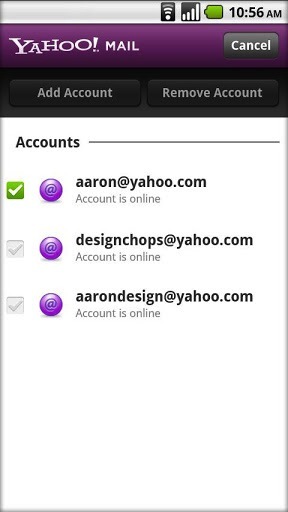 The free app allows you to add multiple Yahoo! accounts, preview photos in your inbox, send and receive mail attachments, compose text with rich emoticons and more. There is also support for smart folders along with powerful search functionality. 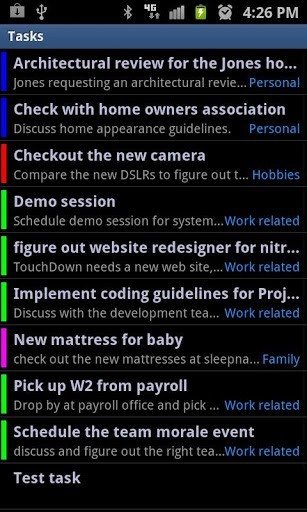 If you are a Hotmail user, then this app will help you check your inbox with ease. The app supports push notifications, allows you to sync calendar and contacts, lets you send pictures using Hotmail, and much more. Rated 4.2 out of 5 stars, Hotmail is freely available for download from the Play Store.